Libertap - Affiliate CPA network reviews and details. Libertap is mobile apps marketing platform which focus on working with high quality global iOS and Android traffic. Libertap's platform offers competitive edge by incorporating latest deep analytics and mobile ad serving technology. Our hightly motivated mobile traffic expert team is available 24/7 to help you monetize your inventory most effectively and bring highest ROI to your ad campaigns. In-house media buying team is proud to deliver loyal users throughout many years. As we have hand-on experience with promoting campaigns we can advise you on what works best as for promoting and running ad campaigns. Whether you're an affiliate or an advertiser, get better results by partnering with us today! There is no sense to look for something else while Libertap exists. It provides you with everything you need to succeed in the affiliate marketing. I want to give five stars to one of my fav teams. No one but you always have such brilliant offers. All of your offers convert very well! For sure this team is the best in the galaxy! I've been working with them for 1.5 year and got only good reviews about their support team. Thanks to Libertap I became who I am (a really cool affiliate marketer). When I was a beginner, I asked them so many questions. And they always answered me! Always! 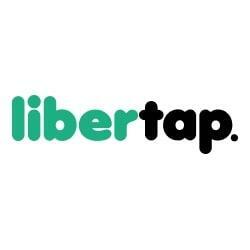 Libertap got one of the best support team I've ever worked with. Thank you, guys! I love this network since I’ve made my first steps in affiliate marketing. They always have got great offers, that converts very well. It is also worth noting their professional support. Thanks to my support manager for helping. I have grown up as a professional webmaster here with Libertap. Great support ! Managers are very responsible and professional . Always good offers and payment not time! Suggest this guys ! I’ve got no problems with this network! I want every team work like this guys!